About 1,200 Afghani, Iraqi and Iranian refugees—currently housed in terrible conditions on islands near Australia—are supposed to come, over time, to the US, under an agreement signed by Barack Obama and Australia’s prime minister Malcom Turnbull. But Donald Trump doesn’t want them. Yesterday, he called the deal “dumb,” and says he will refuse to accept any of the refugees who come from countries banned by his Jan. 27 executive order. at a camp for more than a year, living in an immigration limbo. They are unable to leave their camps but also forbidden from settling for good. Prime Minister Malcolm Turnbull campaigned in 2013 on a vow to “stop the boats.” His posters bore slogans like, “No Way: You will not make Australia home.” Instead, his government looked to other countries willing to accept the refugees. And they didn’t have much luck until the United States stepped in. America has already begun their own vetting on the refugees that they will resettle. Several told CNN that they had already had one round of interviews with American officials. So, what was in “the worst deal ever,” anyway? In November the US agreed to take an undisclosed number of refugees from Australia’s offshore detention regime. The resettlement option was only to be available for detainees who had been found to be refugees (under the refugee convention). Others who were assessed and found not to be entitled to protection would not be deemed eligible. Applicants were to be interviewed twice by US officials before being resettled, in a process that was to take between six and 12 months. 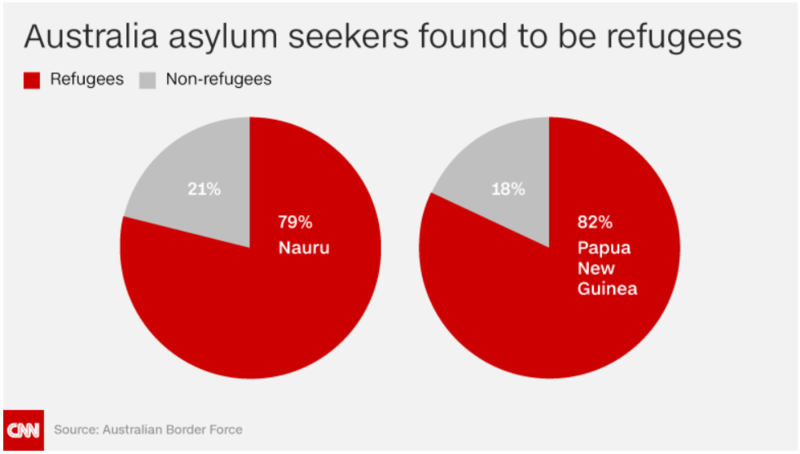 If a refugee missed out on US resettlement, the existing options of Papua New Guinea and Cambodia were still available. “ Trump could still honour the deal but simply accept none of the refugees who apply. Next Post:Sign everything. Read nothing.